Our seed order arrived today! We select seeds based on value, performance, ethics and fun. 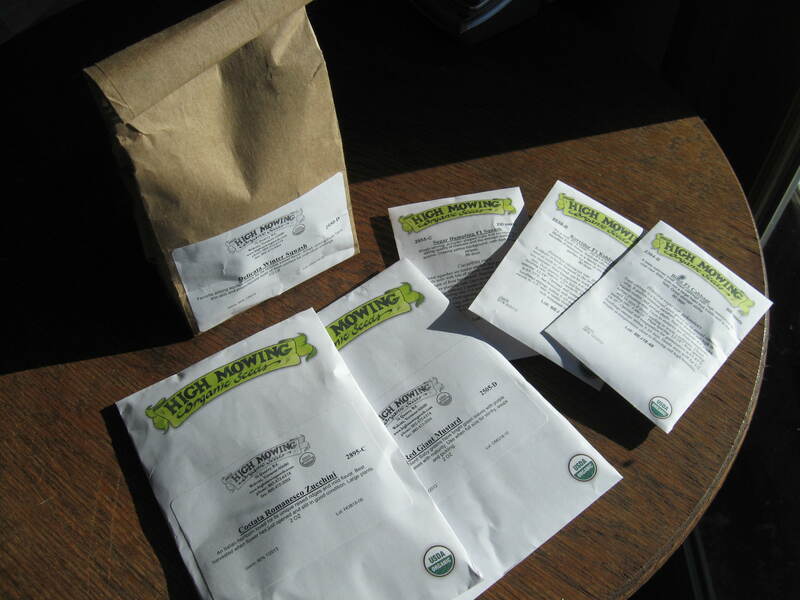 Like MOTHER EARTH NEWS says “you want to buy from a seed company you can trust.” This year we purchased from High Mowing Organic Seeds . If your seed company isn’t providing you with this level trust, then consider finding a new one that does. What seeds did we buy? What else is Wooleylot Farm growing? Glad you asked. We have our fall-planted winter hardy perennials including garlic, shallots and horseradish. We also have saved some fingerling potato tubers for spring-planting. As always, we have high hopes for the success of our organically-grown, non-GMO crops.